Fall and Winter is actually one of the best times to hire contractors as business is usually slow, prices are more reasonable and they can get the job done in a faster time. You may not want to be celebrating Christmas around a construction zone, but come January 1, if you’re ready to begin work, you can really save some money. For some, it may be easy to replace such things as a window, fix a leaky faucet, or make layout changes, but for the rest of us, hiring a contractor is a necessity. To ensure you receive the best quality of workmanship and service, it is important to choose the right person(s) to get the job done, as a top priority among homeowners is maintaining not only the look but the “health” of the overall structure. Ask for References. Talk with others who have had work done by the contractor. Find out about his capabilities and quality of workmanship. The best advice you will get is from someone who has a history with the contractor. Ask to see the Contractors Work. 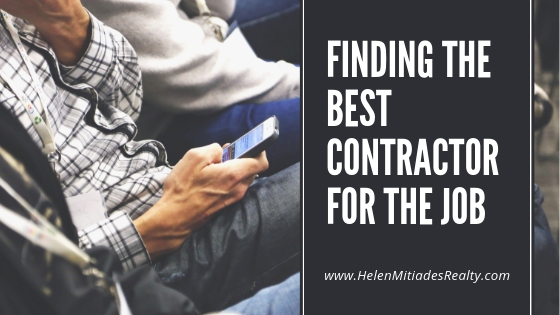 Take advantage of social networks like Facebook, Twitter, and LinkedIn to research the contractor on your own. Their online presence will tell you a lot about the contractors quality of work, as well as a little character too! Ask for the Insurance Certificate. Licensed contractors will have an insurance certificate that verifies current workers compensation and general liability insurance, but note that contractors without employees are not required to carry workers compensation insurance. Verifying this information could prove to be vital in the event of a problem. Ensure there will be a Written Contract. Always insist on a written contract, and be sure to incorporate any warranties, guarantees, or other special circumstances. Get Estimated Start and Completion Dates. Be realistic when thinking about the start and end dates, and if the timing doesn’t sound right to you, ask the contractor to explain in further detail the reason for his suggested time. Beware of an Unusually Low-Cost Estimate. The age-old adage, “if it sounds too good to be true, it probably is,” applies here. You shouldn’t always choose the contractor with the lowest bid, as the quality of work may not be what you are hoping for. Make sure to do the proper research in determining what kind of materials will be used or what types of other labor is needed in order to choose the contractor. Choose a Contractor you are Comfortable with. The entire home improvement process will be less stressful if you choose a contractor whom you’ve connected with in some way. A contractor should be able to express to you that he understands your tastes and needs to finish with the best result. Always make sure to do the proper research when hiring an outside party to provide home maintenance and improvements, as a bad experience can lead to a decrease in the value of your home. Ready to get started? Have no idea where to start? Give me a call. Whether you are planning on selling your Savannah home this next year or preparing it for rent, I have some great options and referrals to get you started. Yes, there are cheap properties in good deals even in Savannah. If you’re looking for a good deal, perhaps a fixer-upper, investment property, or just something you want a great bargain on, there are several ways to choose a decent property that will not only be a good investment but will be the right property for years to come. First of all, you want to choose the right location. 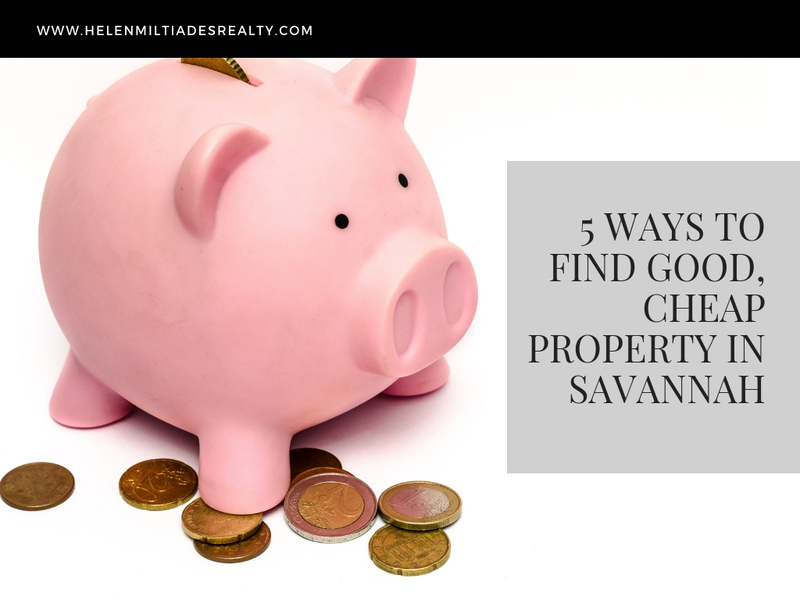 There are a lot of great deals in Savannah and surrounding areas but many of them are simply not a good option if you’re looking for a great deal in order to flip, rent out, or fix up and live in yourself. You want to make sure that your location is in an area where most of the homes around the property are higher end. If you’re buying the best house in the cheapest neighborhood and it still needs a lot of work, it’s not going to keep its value. It’s best to look for the cheapest house in the best neighborhood. Secondly, get title insurance. Having a buyer’s title insurance policy is extremely important, especially when buying inexpensive homes from an auction or distressed properties. These properties can have the most title issues so you want to get covered by insurance. Third, make a smart offer. Have your real estate agent write up a solid offer that protects you and your purchase in the future. Site unseen purchases are not uncommon in Savannah and Pooler, especially with military families. You want to buy an undervalued property which locks in profit from the beginning. Fourth, get a great home inspection. If you don’t have a good home inspection you may not know exactly what you’re dealing with once you own the home. If the repairs and upkeep seem overwhelming or are not a good rate of return, you can bail on the property at this point. Get a good home inspection from an inspector that is fully familiar with distressed properties. Fifth, consider a good property manager. I manage a lot of properties around the area so I am well aware of good investment properties and what will make you the best return on your investment. Using a real estate agent that is also a good property manager is one of the best ways to find the right home for both now and your future income. Good idea or scary move? It all depends on where you are in life, financially and physically. Should you downsize or invest? Move out or move up? These can be a lot of scary questions as baby boomers hit their retirement age. You may have made a lot of money over the past 30 years but with the drop in home prices over the last 8 years you may have lost a lot of it too. So where does that leave real estate investments today? Many baby boomers have actually been delaying retirement for the basic fact that selling and downsizing just isn’t an option. They may owe more than the home is worth and this keeps them hanging onto it until it bounces back. Well, it has. Maybe not with the vengeance some would like but stronger certainly than we have seen in the past 4 years. The number of existing homes sold is up about 8% nationwide according to the S&P and prices have reached over 12% higher than they were this time last year. 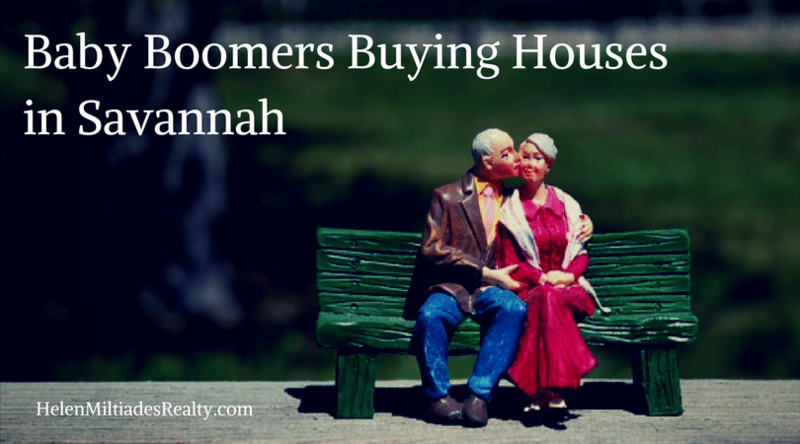 So now baby boomers are toying with the idea of selling or renting out and downsizing. Which is the best option and which makes the most sense financially? Generally speaking, we know it’s better to own than rent but that’s usually if you are going to stay in your home more than 5 years. Is that something baby boomers want to consider at this time? It all comes down to ease of living which has many implications as far as maintenance, finances and responsibility. If age 65 is no longer the retirement age, keeping a home or investing in new real estate may be well within the realm of possibility for baby boomers. Buying a new home is sometimes a strain on the cash flow, not just in the down payment but in monthly taxes, insurance, fees and the mortgage payment. Even if buyers plan on paying cash, they must consider the inevitable costs associated with owning real estate. One smart plan may be to buy a good rental investment, live in it for a while, and then rent it out when you are ready to move on. The equity remains and collects while the retirees are off enjoying the freedom. So what makes the most sense for you? It really comes down to all the many variables associated with your specific retirement plan. I would love to talk to you about the options that might work when it comes to real estate in Savannah GA. Call me today and let’s talk. A quality property manager can help make being a landlord much less stressful. There are a number of benefits and reasons for hiring a top-notch property manager to oversee your rental. One aspect of property management is finding and retaining quality renters. To do this a great property manager will build rapport with current tenants. Building strong relationships with tenants helps to create a positive culture and results in benefitting all parties of the contract. If you have a rental property and just don’t have much time for more than collecting rent and making mandatory repairs it could be increasingly beneficial to hire a property manager. The property manager will be able to care for your renters and help them feel more comfortable in your home fostering an even more welcoming situation that may keep renters in your property longer. The key to building a relationship between the property manager and tenants is availability. A property manager that is available to answer questions and help remedy any problems if needed is one a renter will want to work with. The easiest way for a property manager to make themselves available to tenants is with communication that they are available to answer any questions they may have and providing the tenant with ample contact information. Property managers that are available through more than one means of contact help to ensure renters they will not be hard to get a hold of. For this reason, many of the top property management companies will provide a phone number as well as an email and sometimes even a website they can leave a message or comment on. When renters have an easy way to pay rent and access to an easy way to make maintenance requests they also feel valued and may even live there for a longer period of time. Some tenants may be a little harder to keep communication lines open with and an experienced property manager knows this and is proactive to keep communication flowing starting with the time of move in. By checking in with the renter to see of they got settled in ok and periodically emailing or messaging a tenant just to check in and encouraging the tenant that it is okay to contact property management anytime with a need, you can gain great trust. When your tenets have a good relationship with your property manager, they will be more satisfied with living in your property which translates to better tenants. For a property manager you can trust contact Helen Miltiades Realty today. Hiring a great property manager is a good option to help you take care of investment properties when you don’t have the time or would like to be as hands off as possible with your rentals. The right property manager can help to protect your investment while achieving reduced vacancy time and consequently increase income. They will bring in quality tenants with a strong screening process and oversee maintenance issues. 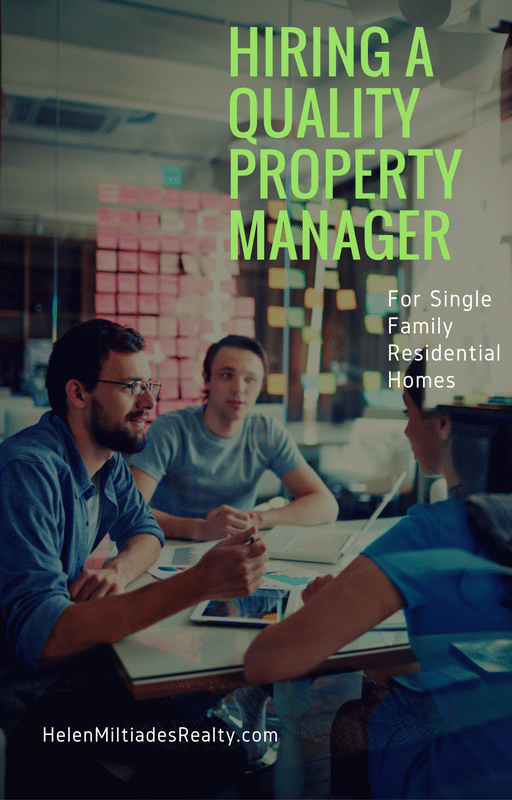 The ideal property manager will make your role as a landlord much easier. Your manager should be located close to your rentals. The property manager will need to be able to address maintenance issues or emergencies in a timely manner. If your property manager is within 10 minutes of your property you are set. If you have multiple properties in several locations consider a manager with different offices. They should inspect the property on a monthly basis. When a property is occupied this will, of course, be an external inspection to help ensure the property is being well maintained. An unoccupied property would include interior inspections and preservation measures to keep the home ready for a quick renter move in. Make sure your property manager is certified. This will help to assure that the manager knows the laws and regulations in the city that your property is in and is well trained in property management. There are two companies that provide certification, the National Association of Rental Property Managers and the Institute of Real Estate Management. These organizations also provide courses to keep property managers well educated and up-to-date in their field. Use a manager that uses technology designed for more efficient managing. In addition to having the proper tools to perform a top level service, they should have a great web presence with great search engine optimization so tenants searching for properties online will find the postings listed by your manager first. Ask how many properties they are currently managing. You want to know they have ample experience ,but that they also won’t be overloaded taking on another property. Ask about their fees and have set expectations clearly communicated for how fees of tenants are managed. For example setting aside income from renters for maintenance and switch over costs. Ask about their tenant screening process. If you have a screening protocol you want for your property a quality manager will be willing to adjust their usual practices for you. Another great thing to find out is their turnover rate in the properties they currently manage, it will help give you an idea of their ability to find quality tenants. Interview more than one property manager. Make sure you are getting the best fit for your hard earned investments. Leaving your investment properties in the hands of a full-service manager is entrusting someone with a lot. Don’t be quick to hire just anyone. I provide quality rental management services in Savannah. Give me a call today.